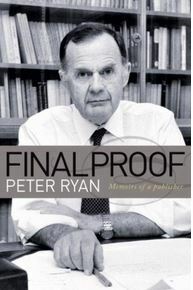 Peter Ryan, a hero of WW11, of publishing and of authorship, ran Melbourne University Press (MUP) from 1962 until 1988. He died at 92 on December 13, having delighted Quadrant readers for years with his back-page essay and sterling sentiments, always in the prose of a master story-teller. I met him only a couple of times, and on both occasions was amused by how often this frail old gent’s stories involved desires or threats to punch hypocrites and equivocators on the nose. Here I’ll confess to some thieving of my own: I’m drawing all my material from his book Final Proof: Memoirs of a Publisher (Quadrant Books, 2010). [i] So sue me, Keith Windschuttle! Appalling. Didn’t the university have an ethics department? The concept of right and wrong appears to have eluded them. Of course it doesnt happen today..
Public institutions invite this sort of behaviour by virtue of the fact that, to the extent that all are responsible in general, no one is responsible in particular. In a private business, those found thieving on a scale like this would be bashing out number plates in the nick. But not for those elite scions of our intellectual life! Our betters! Our moral superiors! Thou shall not steal you say? How pre-Enlightenment of you! Didn’t you hear Marx say religion was the opium of the masses! Right and wrong are just cultural constructs anyway!! That’s what my Sociology Professor says! 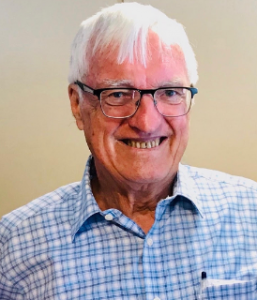 It’s to his great credit that Peter Ryan tried his best to uphold ethical standards and accountability, in the face of the amorality and venality of his adversaries. Anyone else would probably have figured it wasn’t worth the candle. As this story illustrates, it’s another reason why all Universities should be privatised. Did not that young Gareth Evans since become the Chancellor of the Australian National University, and did he not recently oppose the introduction of a course on Western Civilisation that was to be sponsored by the Ramsay Centre?